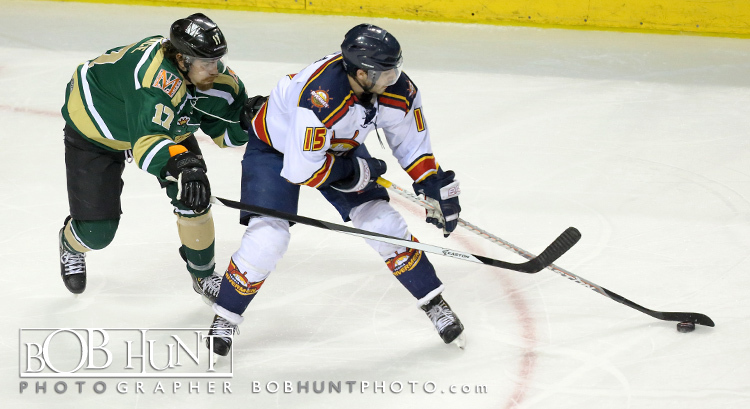 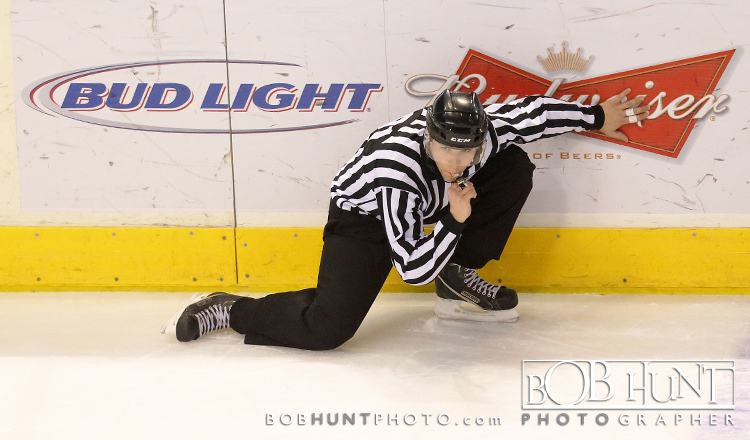 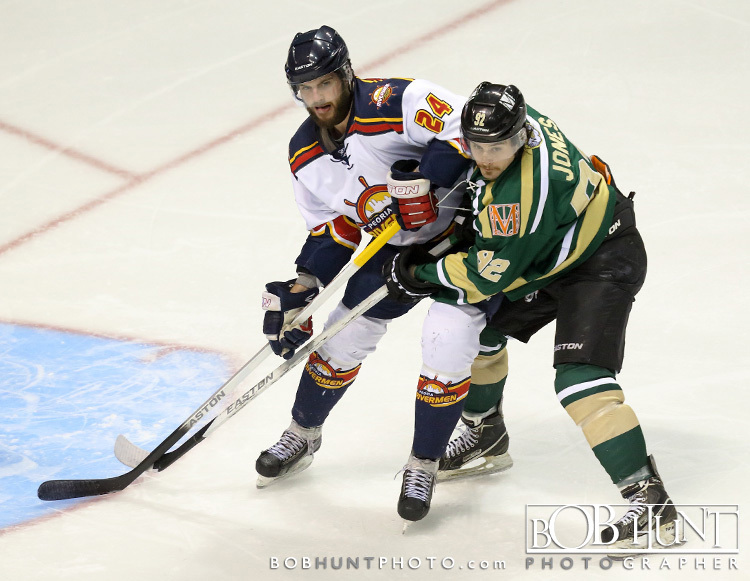 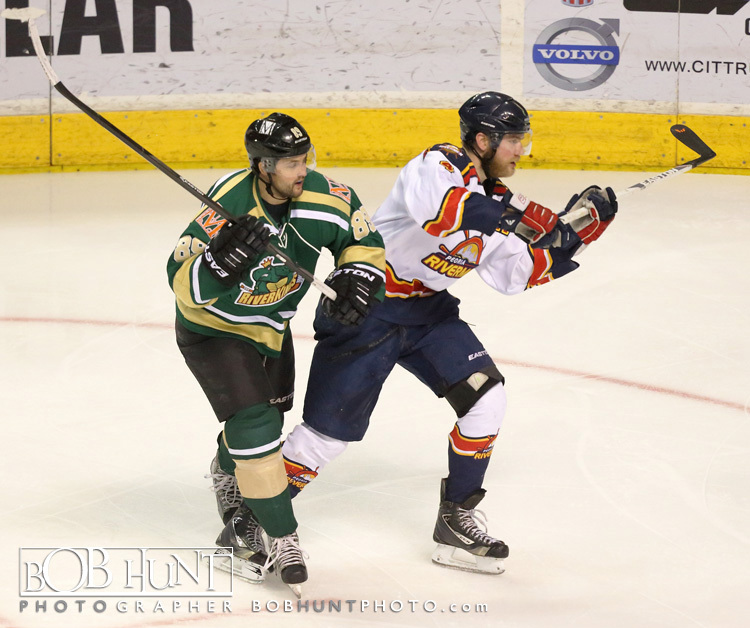 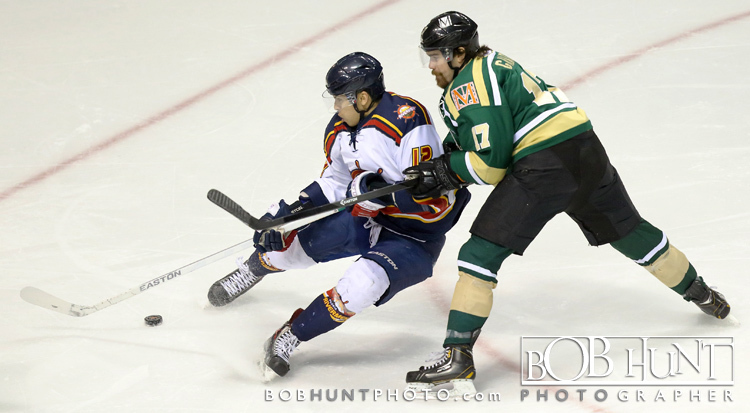 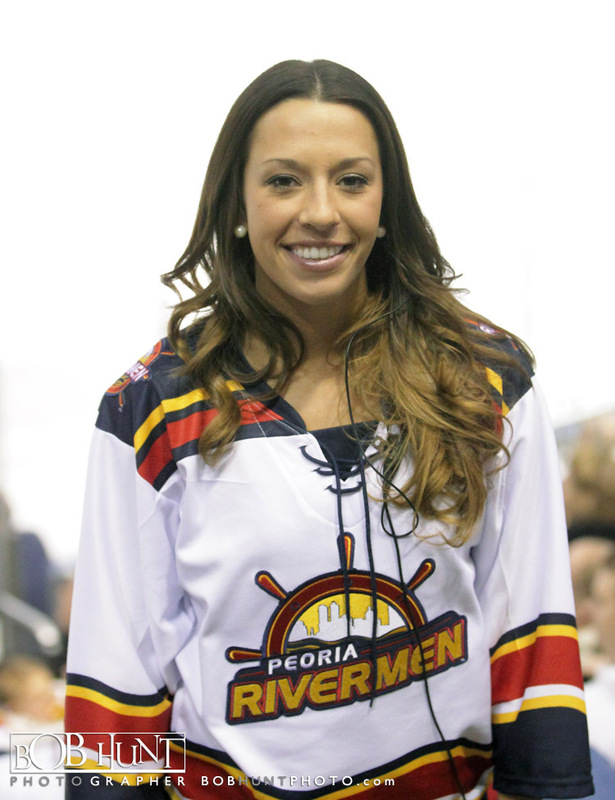 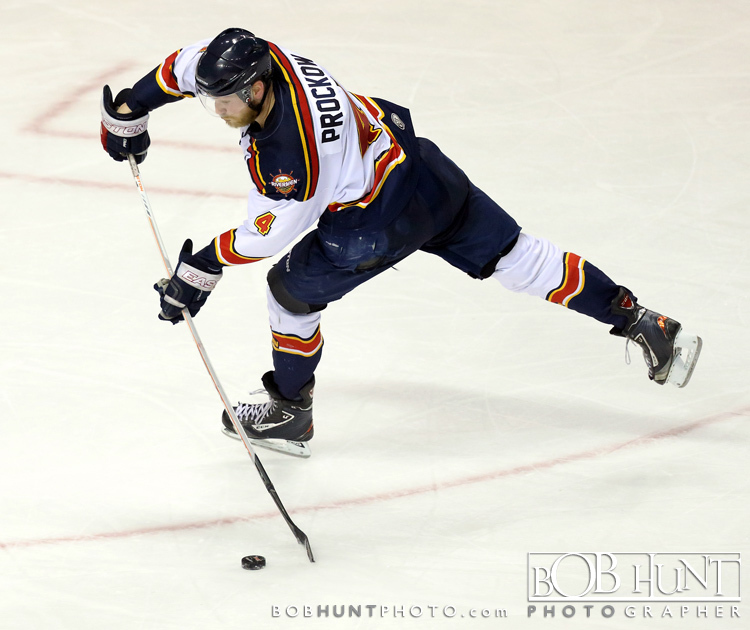 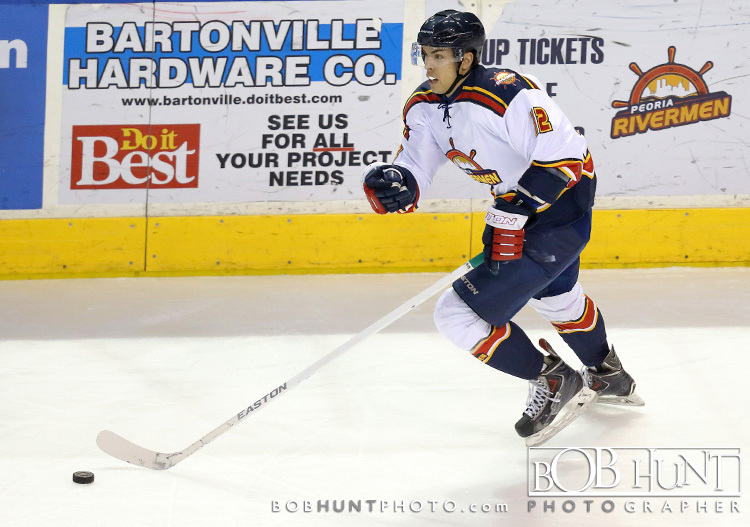 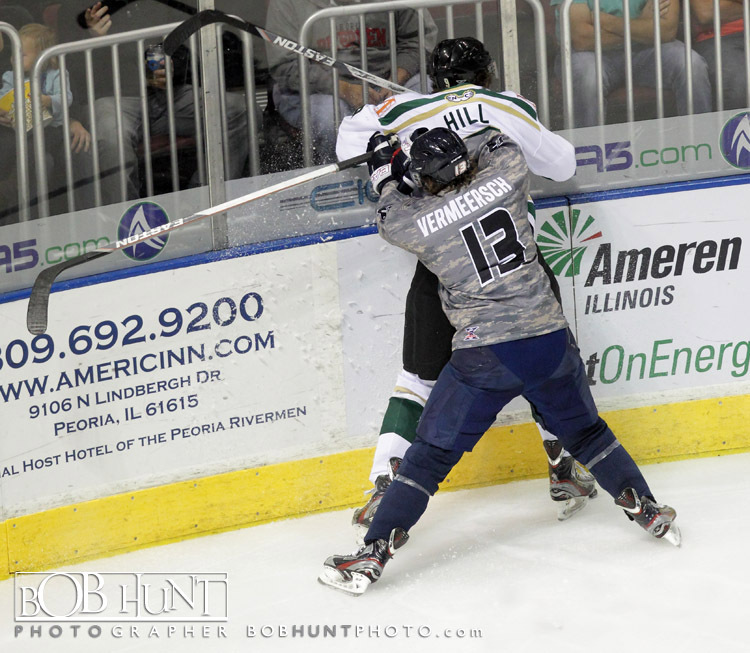 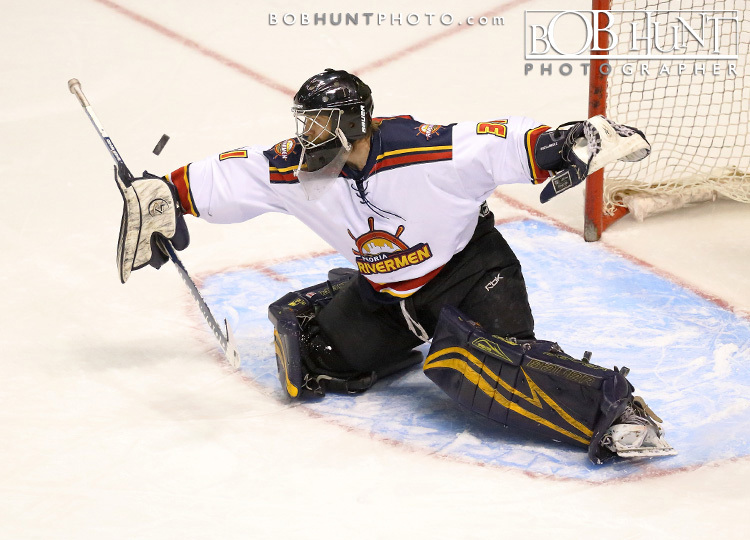 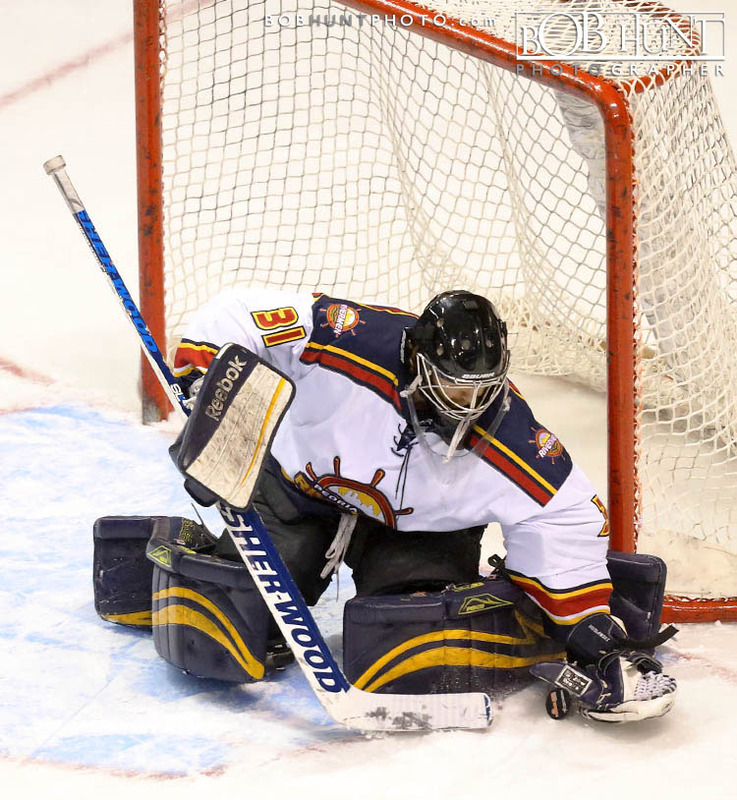 The Peoria Rivermen mustered up 43 shots on Saturday, but only one found the back of the net as the Mississippi RiverKings edged Peoria, 2-1 at Carver Arena. 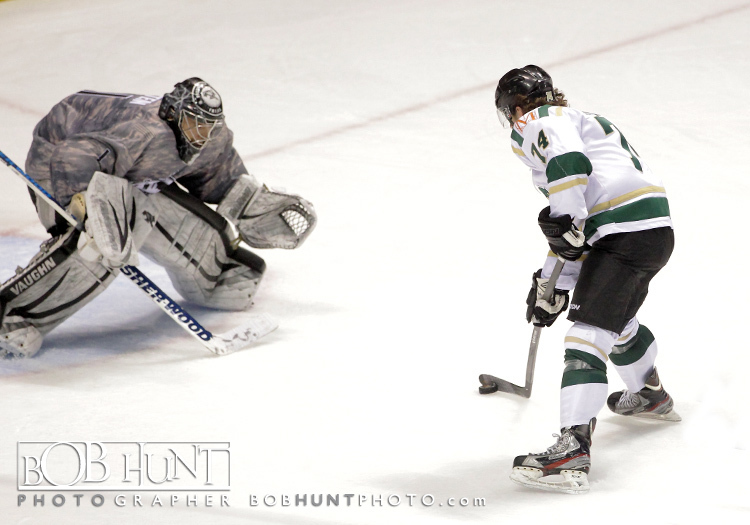 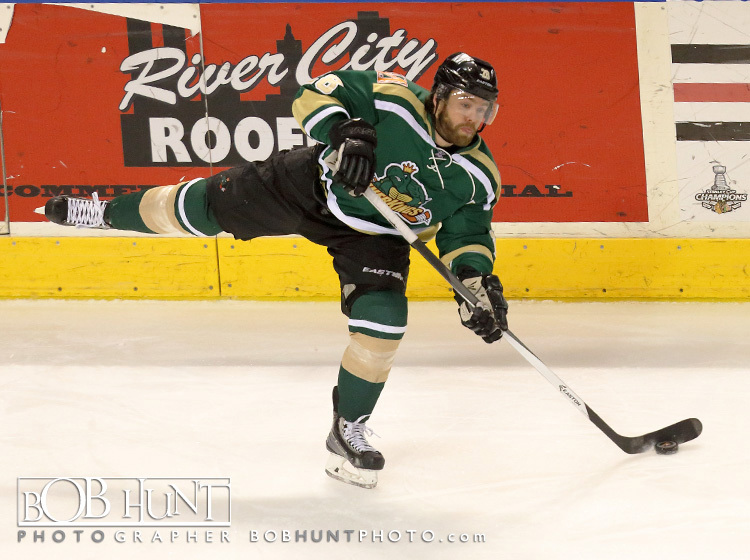 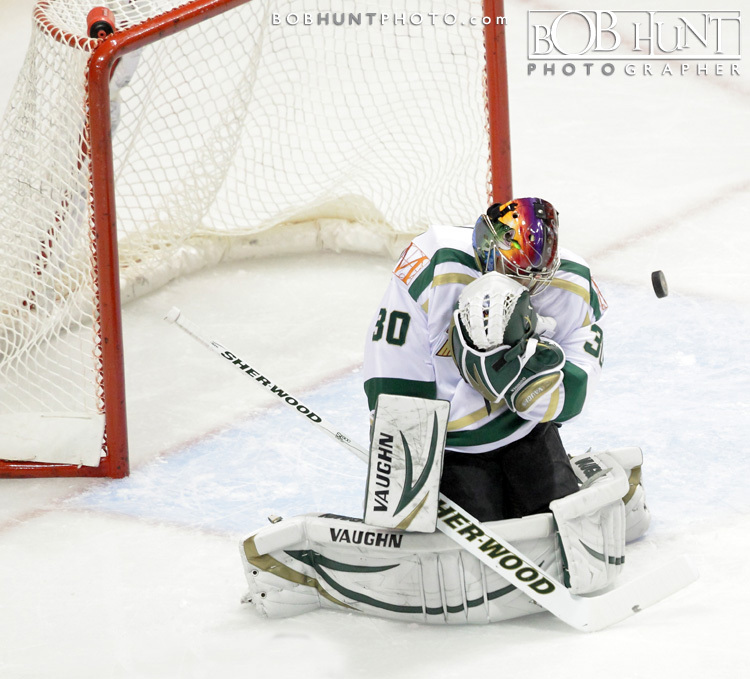 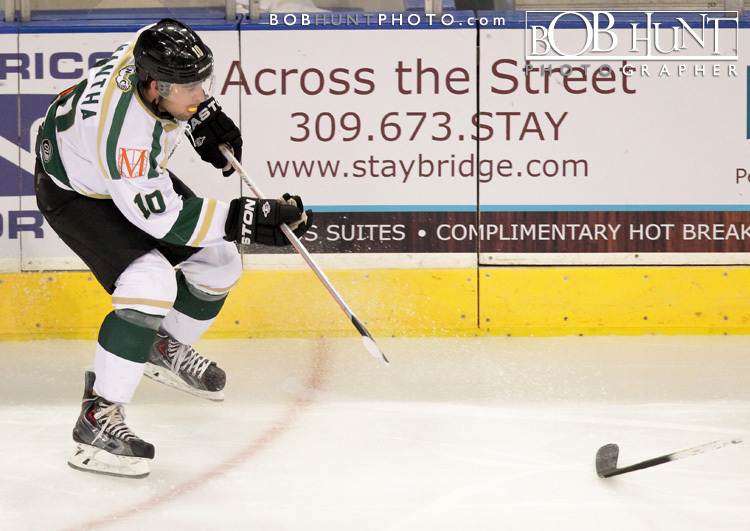 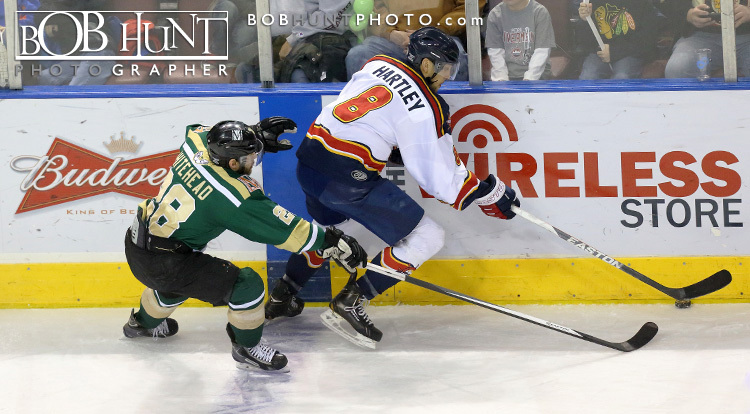 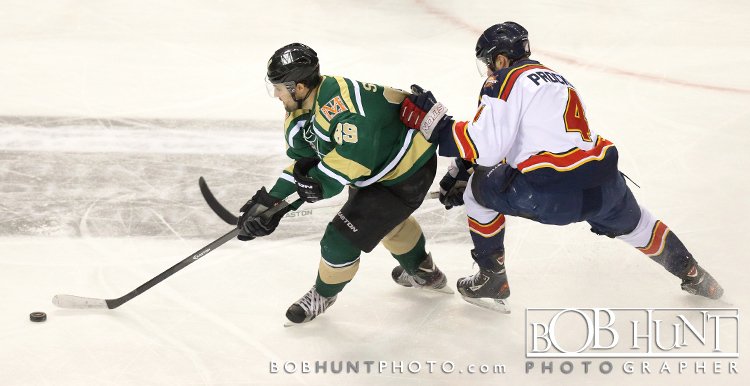 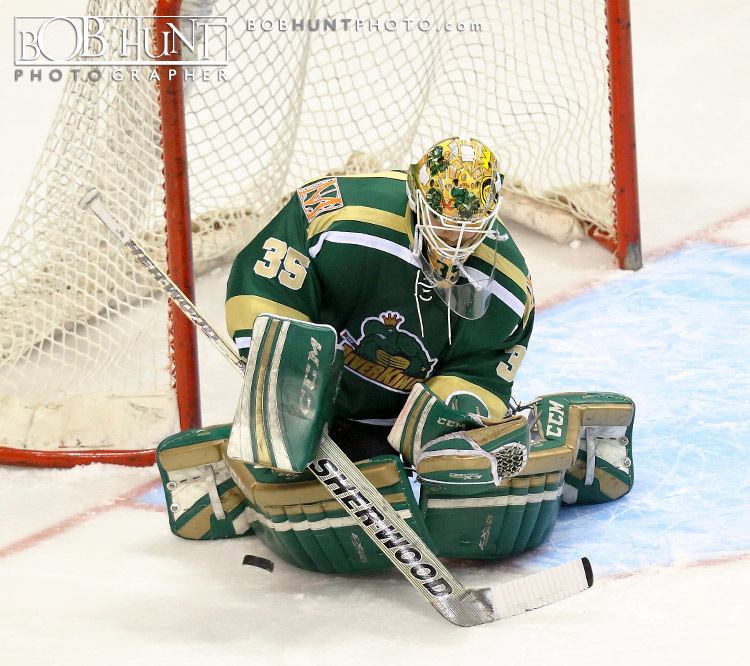 RiverKings’ goaltender Dan McWhinney made 42 saves, while forward Matt Whitehead netted the game-winner less than two minutes into the third as the visitors topped Peoria for the second straight night. 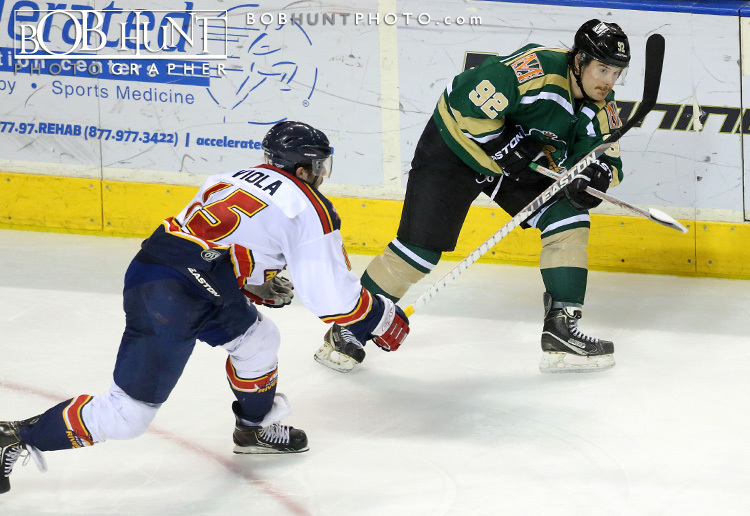 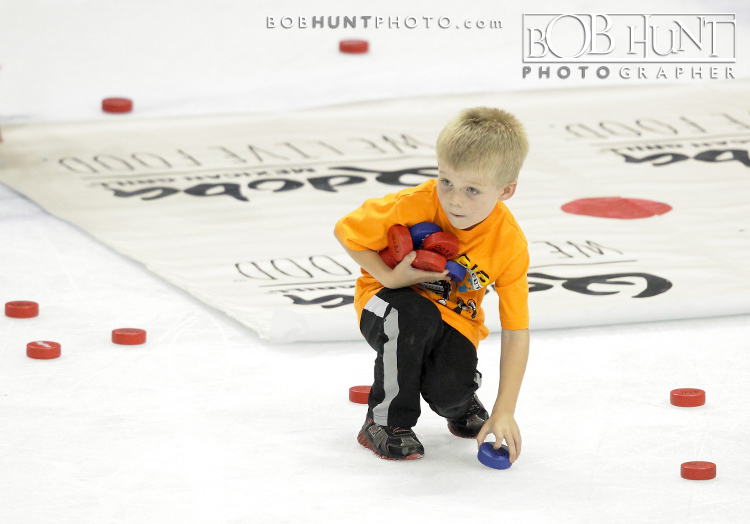 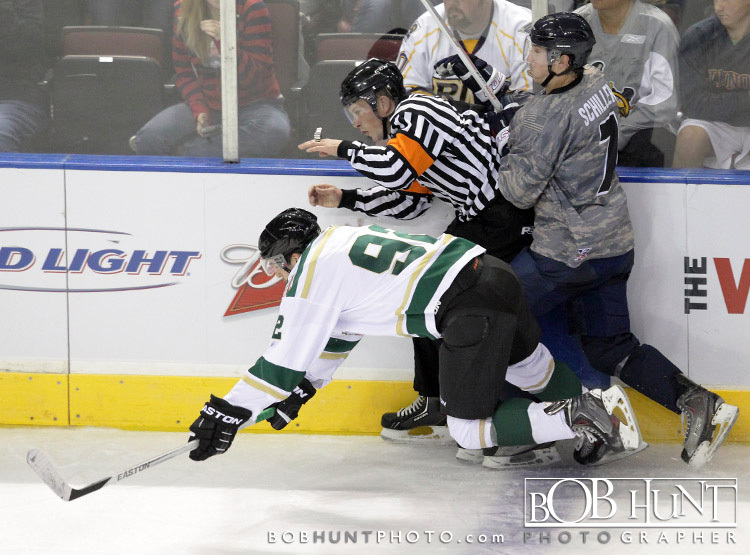 After starting the season with back-to-back wins, the loss drops Peoria to 2-2-0-0 in their first SPHL season. 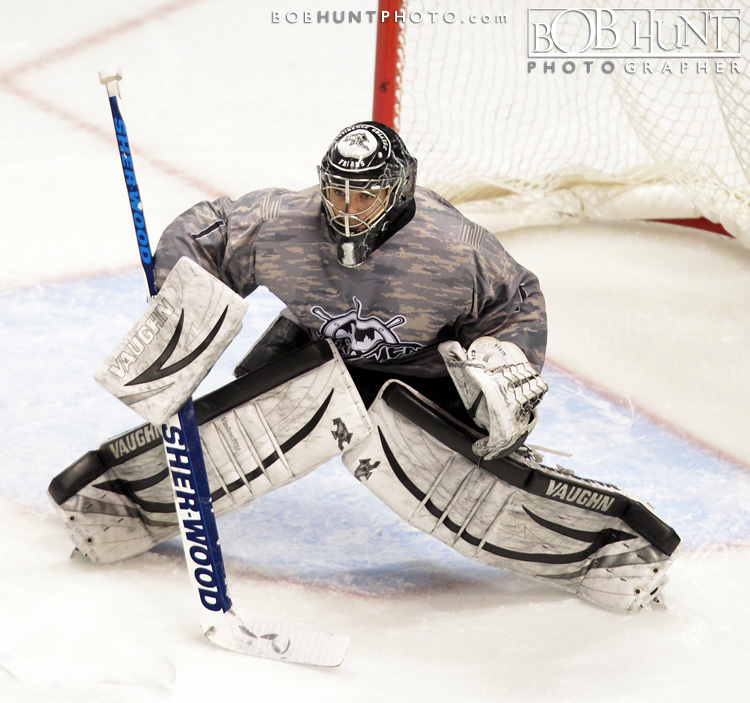 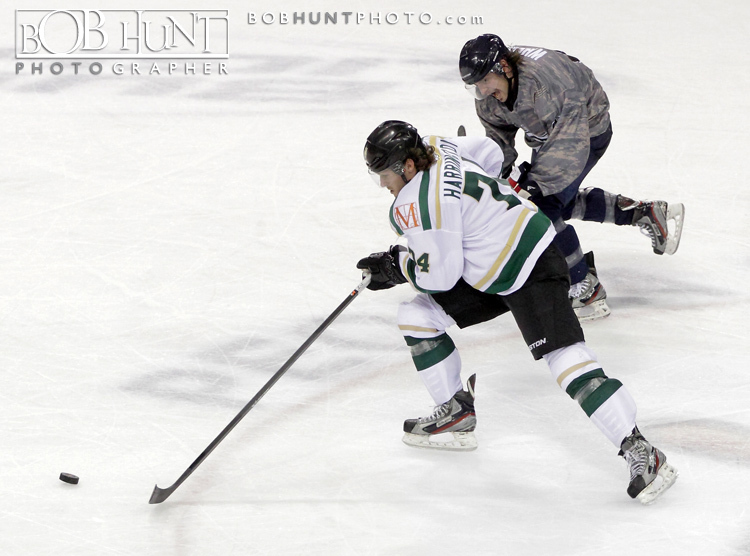 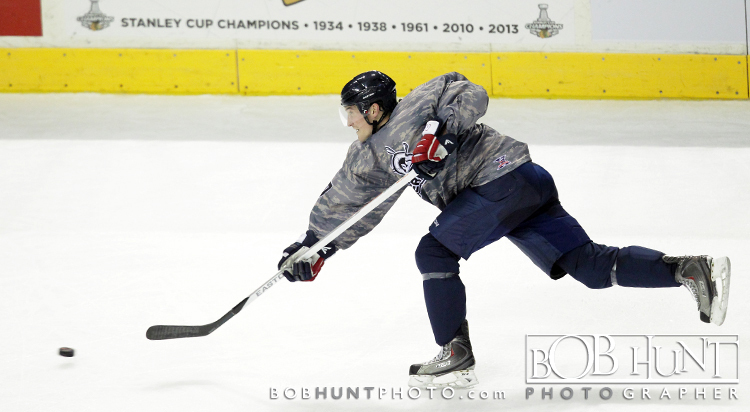 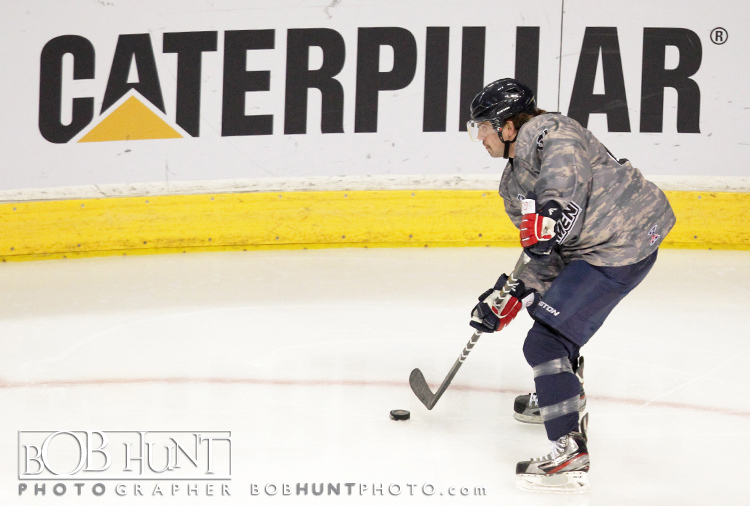 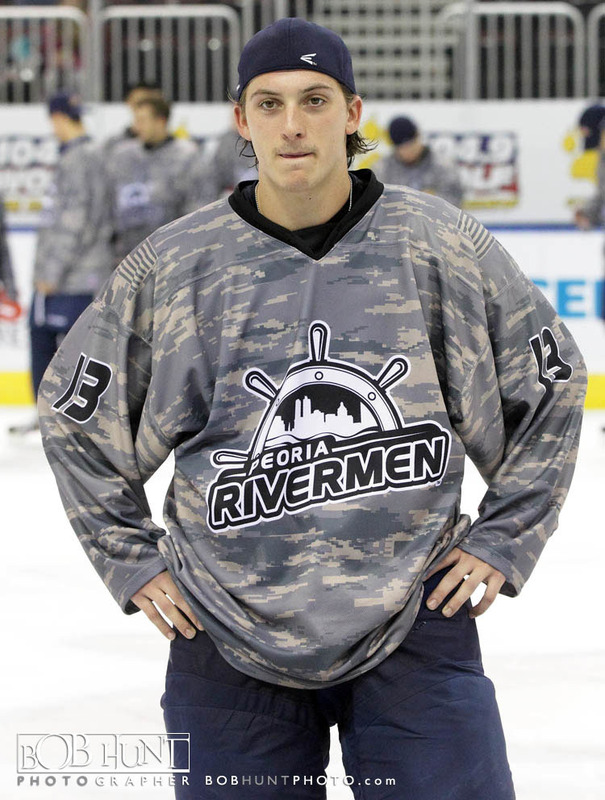 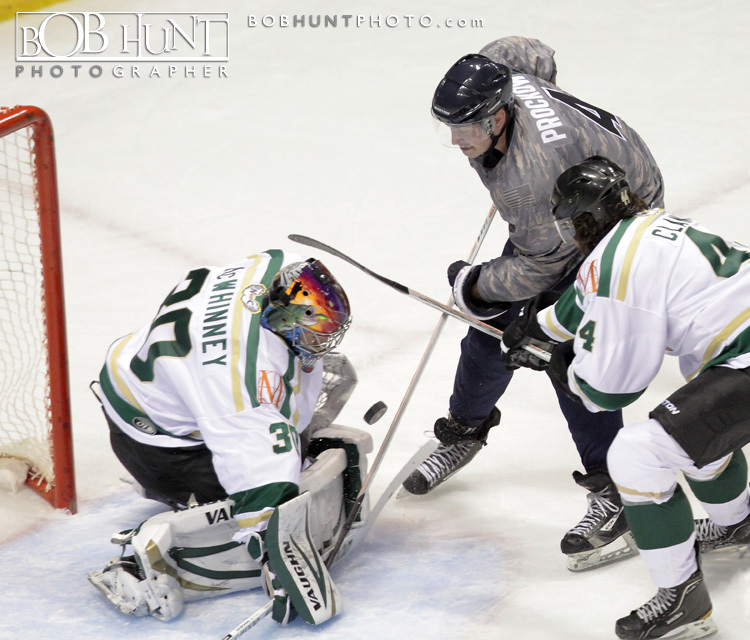 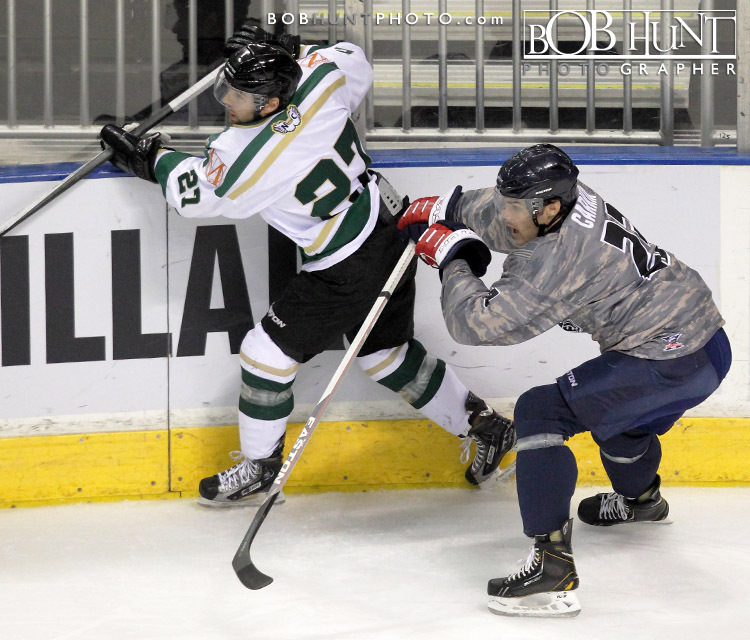 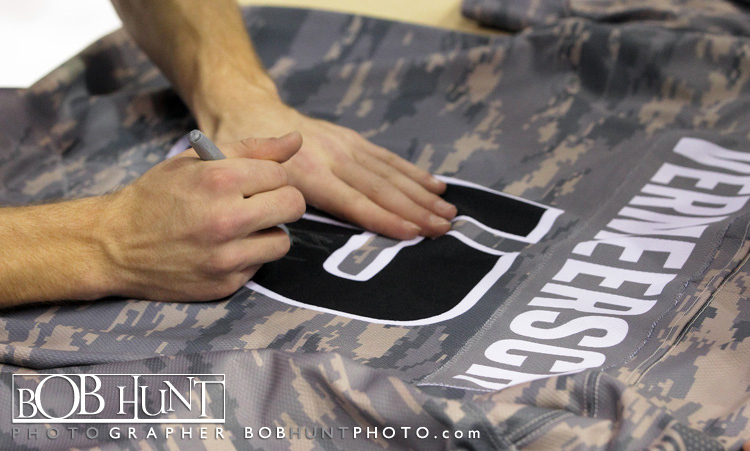 Starting goaltender Russ Stein went the distance in his third appearance of the year, but suffered the defeat after allowing two goals on 35 shots.The Rivs wore specialty military/ camouflage jerseys, which were auctioned off live after the game.